The FEAC Institute offers access to training and certification in the Zachman Framework™ offered by Zachman International®, who's home is at www.Zachman.com. 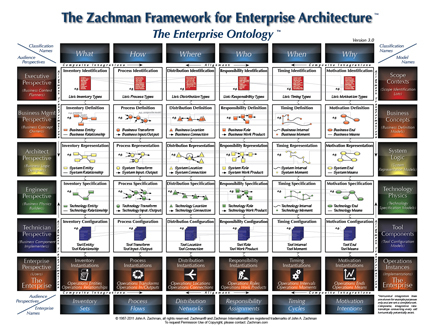 As the foundational Enterprise Architecture Framework, or ontology, more and more Enterprise Architects are flocking to this coveted certificaion for it's scientific, ontological approach to EA, which takes architects away from just building models, to solving General Management problems in the Enterprise through science and analysis. 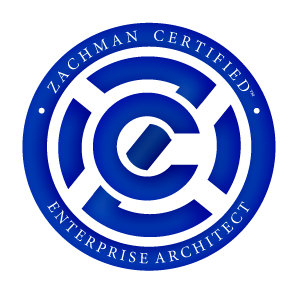 The Zachman Certified™ - Enterprise Architect program enables working professionals to develop the theoretical and technical skills needed in the 21st century workplace. More and more companies are looking for employees or consultants who can demonstrate command and deliver results in this wide body of knowledge. 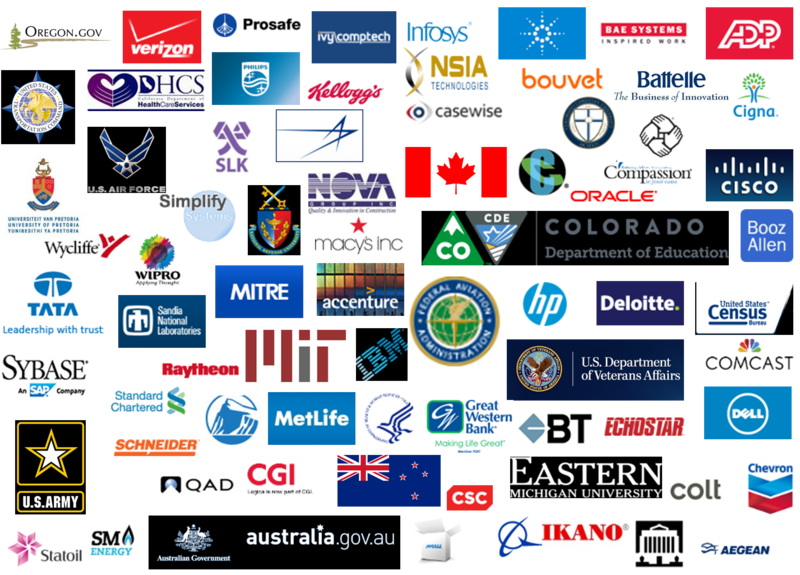 Some of those now even making Zachman Framework certification a requirement. A distinctive element of this program is "reality-based learning," or the process of integrating theory with work and life experience. Practical in its design, the Zachman Certified Courses gives today's Enterprise Architects the opportunity to strengthen their skills as well as broaden their understanding of industry trends and the use of The Zachman Framework. This program grants a professionally relevant certification, opening up opportunities for career advancement and enhanced marketability. It is also a valuable tool for companies and organizations striving to set a higher standard for internal and external performance assessment, establishing hiring criteria, and improved market positioning. In the 4-day, hand's-on modeling workshop, we develop the science behind EA, as derived from the Zachman Framework Ontology. We'll be looking at real-life examples and case studies from real consulting projects and finally give you the ability to answer the question "how do I use The Zachman Framework?" We "workshop" how to build and implement PRIMITIVE models and then actually see how that once you get some primitives built, then creating and changing the composite models and implementations in order to get at General Management problems is quite simple. We explore this by using several methodologies and tools that will help you "implement" the Zachman concepts in your enterprise. Understanding this "science" offers great capability to EAs for analysis and simulation solutions in their enterprise. It is a different EA paradigm! All FEAC CEAs are eligible for a 50% discount when registering for Zachman Certification. Use Discount Code FEACCEA on check-out at zachman.com - subject to verification. *Because www.zachman.com is the ONLY home of Zachman International and the ONLY place for Zachman Framework certification that is approved and authorized by John Zachman, the courses you see advertised on this site have links for registration to www.zachman.com. Sadly, there have been several organizations offering "Zachman" certification, which is a misuse of the Zachman® trademark and worse, not at all what John has envisioned for certification in the Zachman Framework. This small caveat is just to inform you why the registration links take you to www.zachman.com.